Tag Heuer always has been hand in glove with water sports since their first water resistant pocket watch in 1895 to first regetta dialed and tide indicator chronograph watch. 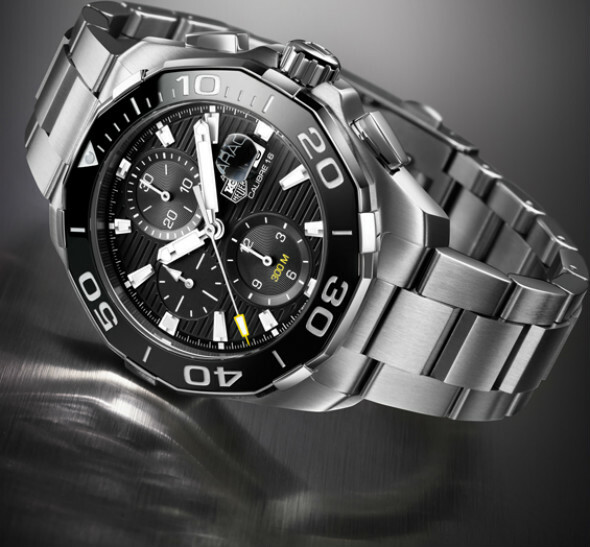 Now, Aquaracer adds new ceramic model to its range. 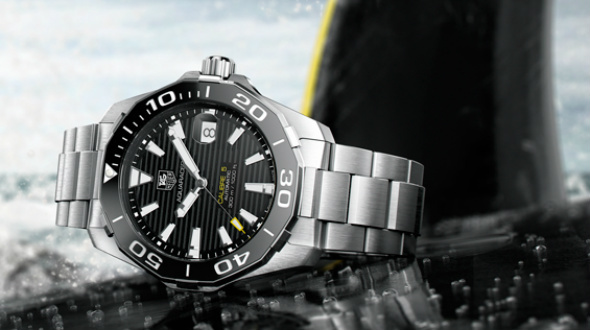 There can not be a better place than World Surf League & Big Wave Tour to present the timepiece. The new model presented at race and organizations which Tag Heuer already took their place as official timekeeper. With its locked crown, uni-directional bezel, big phosphorus and 300m water resistance the watch seems like a complete tool watch. The case measures at 40.5mm and inside of the watch is caliber 5.